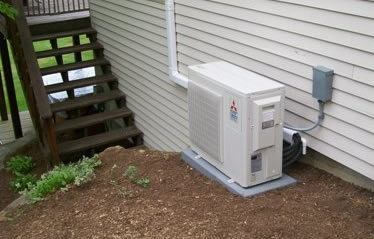 Ray Heating & A/C installs and services ductless, mini-split-systems. 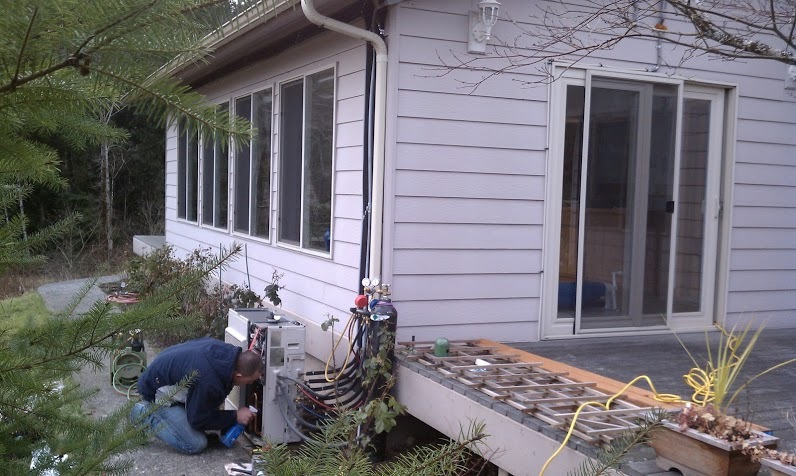 These systems combine heat pump and air conditioning systems for ultra efficiency. 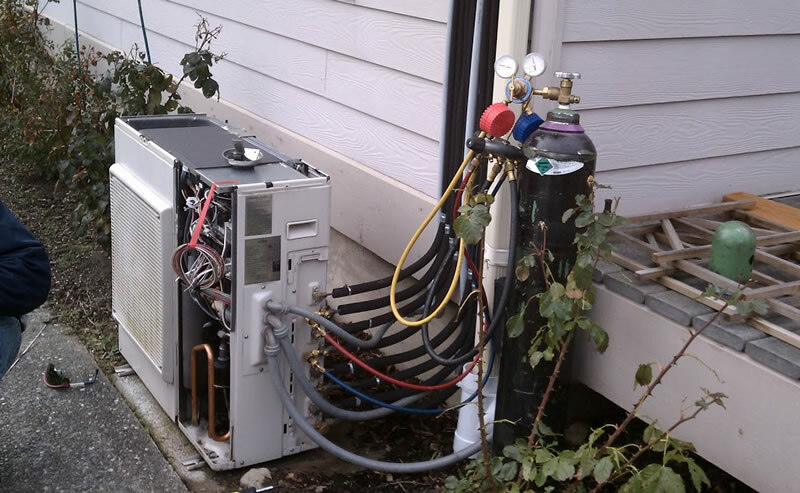 Mini splits make good retrofit add-ons to houses with “non-ducted” heating systems. They can also be a good choice for room additions where extending or installing distribution ductwork is not feasible, and very efficient new homes that require only a small space conditioning system. The main advantages of mini splits are their small size and flexibility for zoning or heating and cooling individual rooms.